If you – like myself – are dealing with more than a single keyboard layout (e.g. 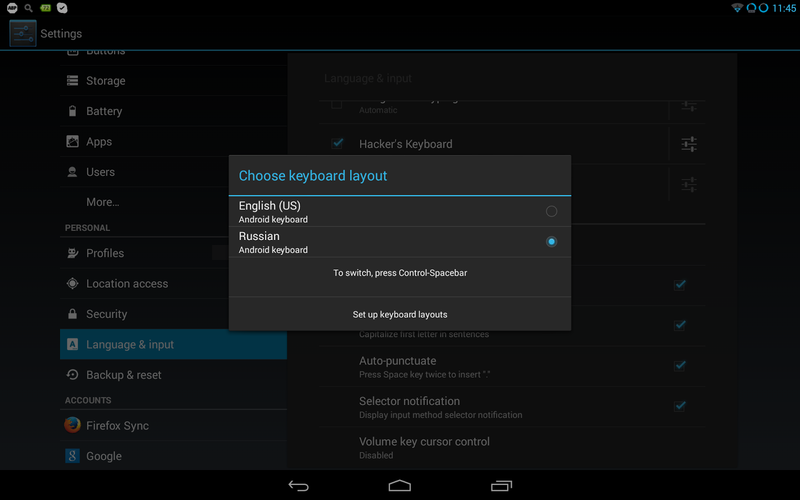 Russian and English) you might have experienced the pain of using on-screen keyboard even if the dock is attached. Look no more – here’s the easy 2 steps solution for your troubles. 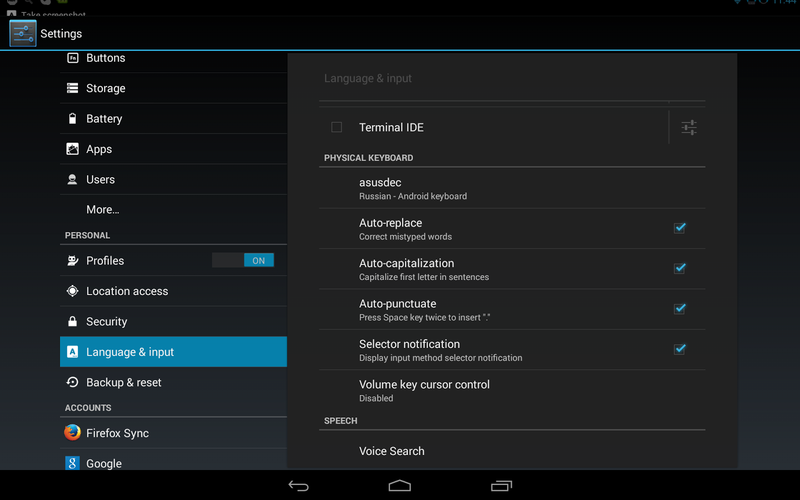 Under Physical Keyboard select “asusdec” and configure it to your liking. To switch between layouts just hit Ctrl-Space and you’re all set. Enjoy!